FOR SALE by an MMES member. Star weld arc welder plus some rods, mask etc. Small (approx. 5ft x 4ft?) home made, fully enclosed box trailer with spare wheel. Numerous small hand tools, e.g spanners, pliers, screwdrivers & everything else you collect over a lifetime “just in case it comes in handy”. Roy Harman, a member of Maidstone M.E.S. for many years is selling all of his model engineering equipment and materials. Roy is in a nursing home at Sutton Valence and the sale is being conducted by his daughter Valerie Cullen. The sale must be completed in the next few weeks due to the sale of his house. Valerie would like to hear from anyone interested. Not being a model engineer herself she would rely on a fair offer for items purchased. Contact - Valerie Cullen - 07957 706124 for address in Maidstone and enquiries. Items include – Axminster miniature lathe with collets and other tools and equipment, boxes of taps and dies, reamers, drill bits, measuring instruments, paint and spraying equipment, soldering materials, nuts and bolts B.A. Whitworth etc., all types of metals – round, flat, sheet, gauze, etc, etc, angle poise lamps, toolboxes and filing cabinets full of items of interest, books on engineering, model railways, garden railways, some garden track, and some collectors items and much much more. Too much to list!!! 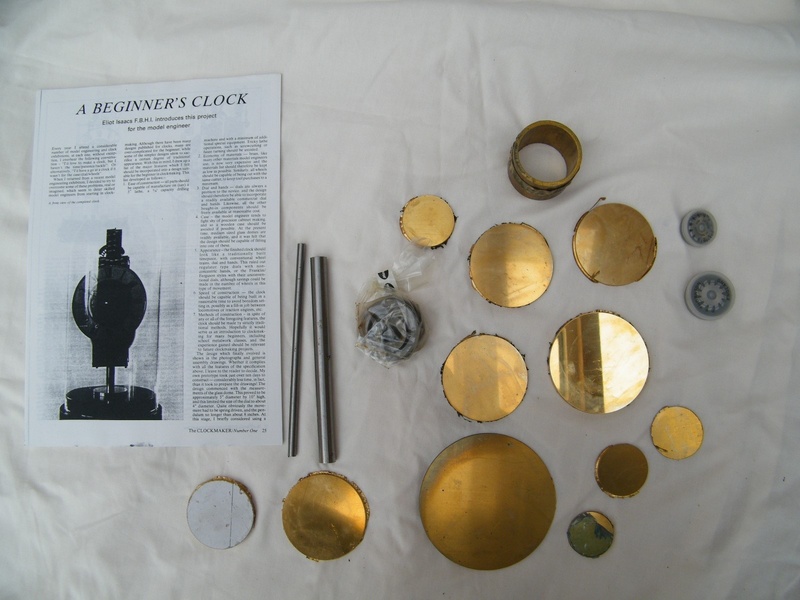 Materials for 'A Beginner's Clock' serialised in Clockmaker Magazine. Designed by Eliot Isaacs. 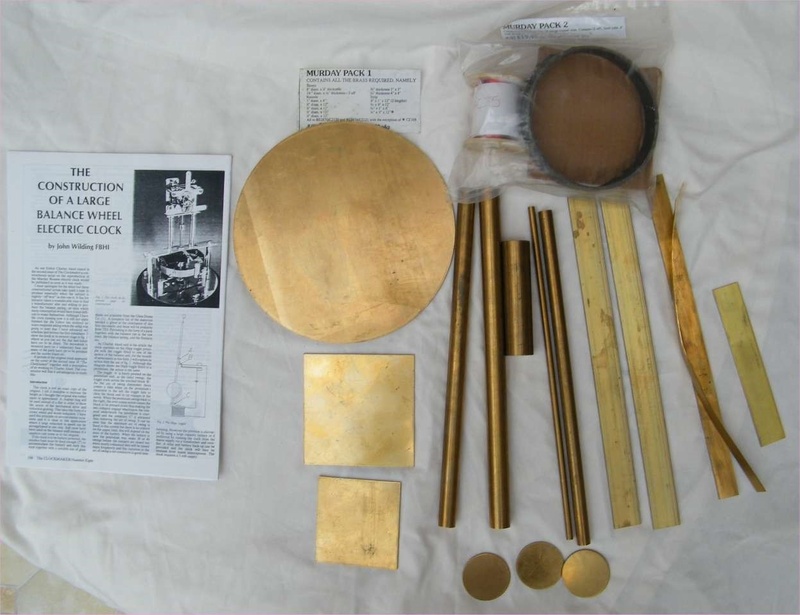 Contains wheel blanks in brass, spring barrel in brass, mainspring, some steel and two cutters, one for pinions and one for wheels. Complete with full construction instructions and additional modifications by Alec Price. £15.00 for the materials and £40.00 for the two cutters. Materials for 'A Large Balance Wheel Electric Clock' serialised in Clockmaker Magazine. Designed by John Wilding. Contains all brass, balance spring, copper wire for the coil, contacts and steel tube for the balance wheel. Pictures of all the above available by email on request.